. . . except prepare by gettin’ your crochet on! SO ISN’T IT ABOUT TIME FOR A ROCKIN’ PATTERN SALE? Why yes. Yes it is. I actually decided to do a sale yesterday to celebrate my son’s 7th birthday and then realized that Halloween is quickly approaching so I needed to do a big Halloween prep sale anyway! So, back to this birthday boy business. I was supposed to post this yesterday on Lucas’ actual birthday to honor him, but things got a little busy and we partied hard! Yeah, I know this is a crochet blog and not my personal blog, but I don’t have a personal blog so I hope you’ll forgive me for taking a tiny time-out to show a picture of my little man and tell you all that he is super duper awesome and made me the luckiest mommy in the world when he was born 7 years ago. 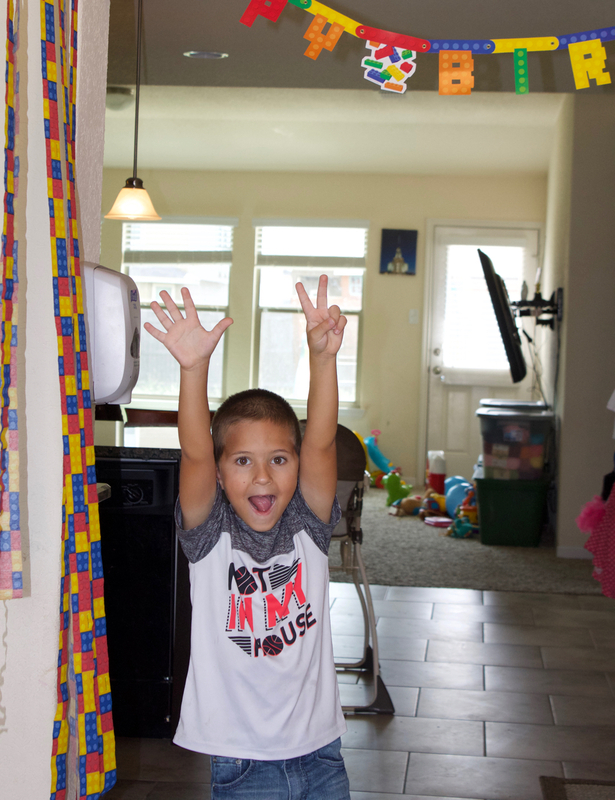 His joy and excitement for life is contagious and sometimes I wish I constantly had a camera on him so I could capture all the over-the-top ways he demonstrates his happiness. Yesterday morning he said, “Mom, sometimes I get so happy it feels like my armpits are falling off”. I am pleased to report that his armpits stayed right where they belong the entire day. Yeah, I realize that you can head to the store and grab a cheap trick-or-treat bucket for like $3 and it’ll do it’s job. I’m a pretty cheap person, so this idea is very appealing to me. But I’m so glad I went a different route last year. I made these super cute trick-or-treat monster bags (thought up by my brilliantly creative sister) and my daughter was so excited about hers! By the way she acted she may have been just as excited about the bag as she was about her costume. And of course everywhere she went people were admiring it, so that was fun for me too! You can find the Googley Monster Bag pattern here. And of course I enjoyed dressing my little baby up in his very first Halloween costume! He wasn’t allowed to eat candy last year. . . . so I have a feeling he’s going to enjoy Halloween a lot more this year! 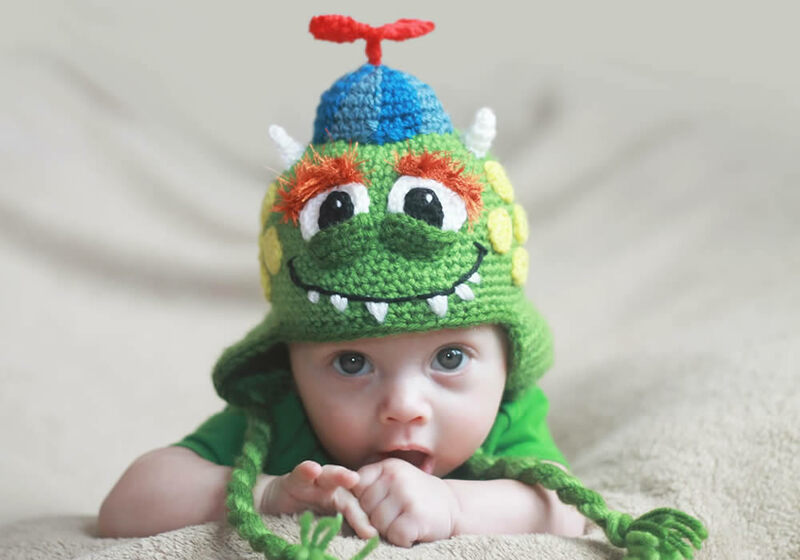 You can find our Googley Monster Hat Pattern here. And I know you’ve probably all seen it before so it doesn’t actually NEED to be mentioned. . . but how can I post about Halloween costumes I love without mentioning my daughter’s unicorn costume? I mean, I don’t know if anything will ever beat this. She won a costume contest at a big party we went to and it was just like the cherry on top (although I was not a fan of the movie she won in her gift basket and have been crossing my fingers the kids never ask to watch it!). You can find the unicorn hat here and the matching leggings and tail pattern here. So it is my opinion that if you are trying to figure out some Halloween costumes (or even just awesome winter hats or Christmas gifts), that you should head right over to my patterns page and pick yourself out something nice (; You can get all patterns for 20% off using code BIRTHDAYBOY or, better yet, stock up and get 30% off when you buy 3 patterns or more and use code HALLOWEENPREP. These codes are good through September 28, 2017 at midnight (Mountain Time). Enjoy!